Tripoli has submitted to the UN Security Council’s demands and declared a ceasefire. The move comes after several nations announced preparation for air strikes on Gaddafi’s troops, to which the UN resolution gave the green light. The ceasefire was announced by Libyan Foreign Minister Mussa Kussa in a TV statement. He pledged that the government will do its best to ensure peace and order in the country and protect human rights. He said Libya is stopping all military operations because it is a fully fledged member of the United Nations and as such it is obliged to accept all UN resolutions. Kussa said his government sought to protect civilians and foreigners. He also pointed to the hardships that sanctions imposed by the world community against Gaddafi’s regime bring to the population. The minister said the government is ready to negotiate with any forces interested in preserving Libya’s sovereignty and territorial integrity, and called for an international on-site investigation into the situation. Libyan authorities have already asked the governments of Malta, Turkey and China to send their observers to the country so that they keep a watch on the maintenance of peace, Agence France-Presse news agency reported. An African Union delegation is expected to arrive in Libya on Friday evening or on Saturday. The foreign minister emphasized that the international missions would be able to establish for themselves facts on the ground and understand the Libyan position better. The international community, particularly the EU, is struggling to make sense of what the Libyan foreign minister meant and what the position of Gaddafi’s government is. The Gaddafi government denied opposition claims that government troops have continued military actions. Earlier on Thursday, the UN Security Council approved a resolution which allowed military action against Libyan forces as long as it helped stop violence in the country and did not include any ground operations. 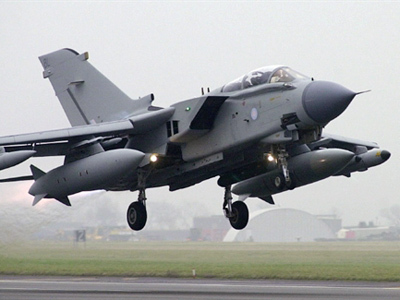 After the resolution came into force, France, Britain and Saudi Arabia were reportedly ready to begin air strikes on government troops in several hours. Malta has already announced it is ready to provide its air space for no-fly control operations in Libya. However, it has declared that the island itself cannot be used as a military base. There were five countries at the UN including Russia that abstained from endorsing a no-fly zone. Russia’s envoy to the UN, Vitaly Churkin, said that the resolution fails to limit the extent of intervention in Libya. Germany also voiced caution saying that implementing a no-fly zone carries considerable dangers and risks. 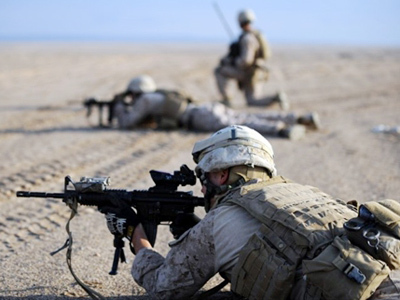 Although Germany does not want to take part in any military action in Libya there are unconfirmed reports that there is a proposal on the table between Germany and the US. It could result in Germany sending reinforcements to Afghanistan, possibly for radar flights, to free up resources for the Libya mission. Meanwhile, US President Barack Obama said that Gaddafi should withdraw his troops from those cities occupied by the opposition. He also called on the Libyan authorities not to prevent humanitarian aid deliveries to civilians. Obama made clear that if Gaddafi does not meet the conditions set in the recently passed UN Security Council resolution, the international community will have no choice but to use force. There are many unanswered questions about the no-fly zone. There is no word on time frame and it is unclear whether it will cover all of Libya and who will be involved. Meanwhile, the rebels say they will simply not heed the ceasefire call. The clashes in the east and west still continue. RT’s Paula Slier, who is in Tripoli, says there are unconfirmed reports of explosions outside the capital. ­Anti-war activist John Rees from the Stop the War coalition says that while the Western powers are determined to intervene in Libya, Britain and France do not want a successful completion of the conflict. Political analyst Marcus Roberts says that while the UN Security Council resolution does not authorize the occupation of Libya by foreign forces, it does allow the use of military force. And it may be part of the American military plan to introduce a “no-drive zone,” which could lead to the bombing of Gaddafi forces. 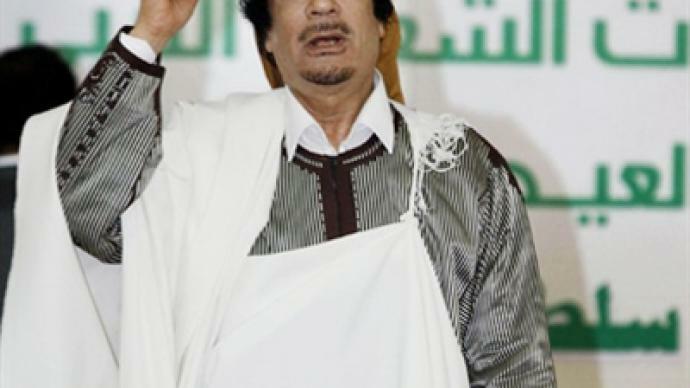 A former US diplomat in Libya, John Graham, says that Gaddafi will stay in power despite any actions taken by the West. ­Gaddafi's regime has declared a cease-fire, but there are reports that Gaddafi's troops are closing in on Benghazi. It may be possible that by obeying the resolution Gaddafi is trying to trick the UN and to gain some extra hours in order to take back Benghazi, says Keith Harmon Snow, a war correspondent and former UN investigator. “Gaddafi is not a stupid man, it’s a tactic that’s been used by other powerful military conquerors in the recent past, including Paul Kagame in Rwanda and Museveni in Uganda. They sue for peace, on the one hand, and at the same time advance their military time quest, on the other,” said Harmon Snow.